Vellsam continues taking steps in its expansion across Spain and has started the year establishing itself in Huelva through the seven largest distributors in the province. This will allow it to sell its humic acids, deficiency correctors, biostimulants and organic matter. 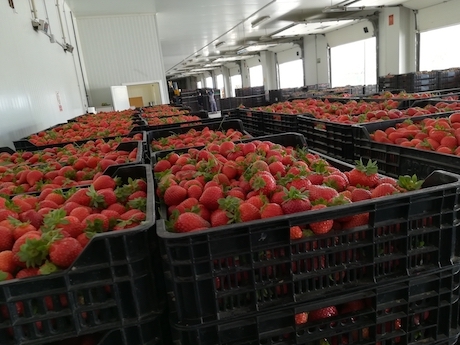 From now on, Vellsam will be able to help berry producers in Huelva and help them improve thanks to the knowledge acquired with this type of plantations in other countries. Berries are Huelva's most important crop. In the latest campaign alone, the total area planted stood at more than 11,400 hectares. The Almeria-based company already distributes its products in all of Andalusia, Castile-La Mancha, Extremadura, the Region of Valencia and the Canary Islands, and hopes to continue establishing itself in other provinces, thereby consolidating its growth in terms of sales. Last year, its domestic sales grew by 30%. Vellsam Materia Bioactivas keeps direct contact with producers to be able to meet their demands, developing products tailored to cover the crops' needs in each area where they have distributors and are offering a personal technical service.